Our modern Hazel Grove dental clinic is easily accessible by car or by public transport. We offer a wide range of comprehensive dental services in Hazel Grove to patients in the area and are one of the only dentists in Hazel Grove to offer specialist dental treatments. Regular dental check-ups are very important for your oral health but don’t worry if you haven’t been to the dentist in Hazel Grove for a while, we can talk through any concerns that you might have before providing you with a full dental check-up. If you are anxious about visiting the dentist, we can work with you to help you overcome those anxieties, answering any questions that you might have. Our Bosden Farm Dental practice is a family run business with many years of experience. We aim to provide the highest quality of dental care for all our patients within an environment that is calm and comfortable. Our dental team are all fully qualified and consists of dentists, dental nurses and dental hygienists. We also have specialist dentists who have undertaken extra training to gain qualifications in specific areas of dentistry. If you are looking for a dentist in Hazel Grove who can help you with any orthodontic issues such as tooth straightening or prosthodontics – including implants, bridges, and crowns – then give us a call to have a chat and see how we can help you. 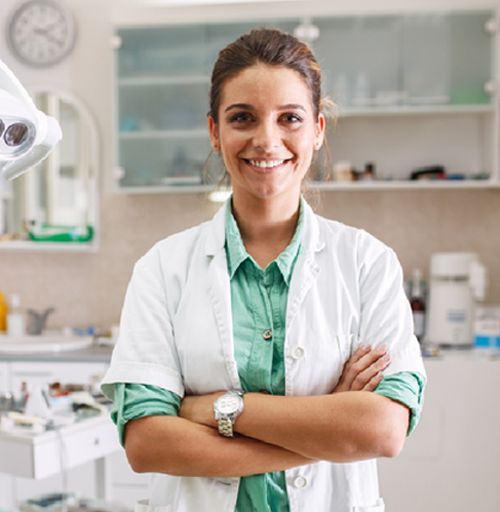 We believe that a preventative approach to oral health is the best way forward and our dental hygienist can offer you a selection of tooth cleaning services together with advice on oral hygiene and good dental care.